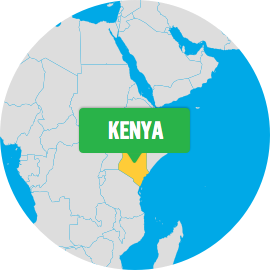 Kenya is a beautiful country of sweeping savannahs, dense forests, snow-capped highlands and palm-lined coasts. With its beauty and abundant wildlife comes booming tourism and, in some places, great wealth. But there is also great poverty. In the Narok South District, where WE Charity focuses its efforts, one in 10 children still die before reaching their fifth birthday, and one third of children under five are stunted due to chronic malnutrition. 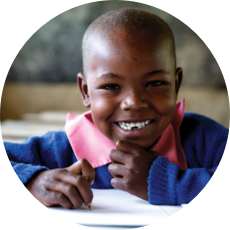 In the 16 years since we began partnering with the Maasai and Kipsigis communities in southwestern Kenya, together, we have built schools, libraries, water projects, latrines, kitchens and teacher accommodations. Community leaders supported our development and education projects, and implemented active women’s, men’s and youth groups. Here are some of the projects we are proud to work on in this beautiful country. When WE Charity began working in Salabwek in 2007, school buildings in the community were primarily mud structures. The average child walked three to four kilometers to school, though some walked as far as eight kilometers. There was no local source of clean water. The community had an illiteracy rate of more than 90 percent, and an average family income of less than $1.25 per day. Subsistence agriculture provided the only source of income, maize being the crop of choice. Gender equality posed a particular challenge, and early marriages were commonplace. Together we have built 20 schoolrooms for students up to Grade 8 (that’s over 700 students), and the school continues to expand. Teacher accommodations have been significantly improved, which attracts better talent to the school. Recently, the graduating class sent more girls to secondary school than boys, a great victory in the fight for gender equality. Student retention and academic performance have both shown consistent improvement. During the recent drought, when children had more pressure on them to fetch water, attendance rates remained at 97 to 98%. 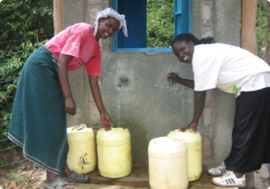 As new schoolrooms are built, water projects are implemented in tandem. 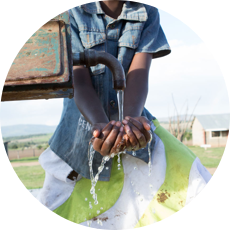 In addition to sanitation education, a Water Management Committee oversees sustainable and equitable sharing of water. The school contains an on-site water catchment system, as well as a water system that provides clean water for the school and the community, increasing local clean water access from zero, in 2007, to 88 percent today. The clean water system has been instrumental in establishing a drip-irrigation system at the school farm. 91 percent of households practice healthy water usage habits—up by 48 percent. A mobile health clinic visits each month, and students receive regular deworming medication. Most importantly, students have taken ownership of their health and established health and environmental clubs. Around 88 percent of households are now practicing healthy habits at home such as hand washing and dish drying. The school farm, tended by students, provides nutritious food such as kale for student lunches that are cooked in the community kitchen. 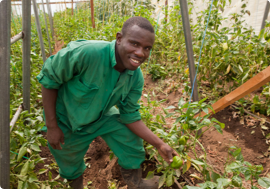 Introduction of the drip-irrigation system has resulted in both higher crop yields and reduced costs. 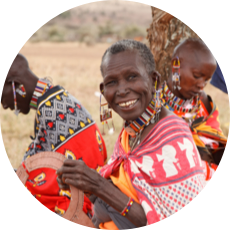 As one of WE Charity’s oldest WE Villages communities, Salabwek’s alternative income and livelihood programs are well established. The goal of this pillar, as with the others, is to make the community economically self-sufficient. To that end, we have provided financial literacy training to men’s and women’s groups. In 2011, 12 households participated in a Village Savings and Loans program that allows members to pool resources and take out loans for small businesses. Salabwek currently has 12 women’s groups and over 2,300 community members benefitting from alternative income projects. A passing cow lumbers by the circle of a dozen seated villagers, the bell around its neck clanging merrily amidst a chorus of buzzing cicadas and clucking hens. The members of the Saunok Village Savings and Loans group pass around a metal lockbox and each put in one hundred and twenty shillings. Coins clink as they drop inside, and paper rustles as members deposit bills printed in the red, green and black of the Kenyan flag. Members wave and offer a friendly “Jambo” at people passing by as the box makes its rounds. In the distance, children laugh and play in the bright sunlight outside of Salabwek Primary School. Village Savings and Loans Associations (or VSLAs) like the Saunok group are transforming the local economy in Salabwek by introducing new strategies for supporting small businesses and financial independence. 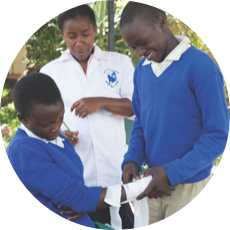 In their early stages, groups meet on a regular basis to save money for a collective fund that members can draw on to start new enterprises or pay school fees or medical bills. 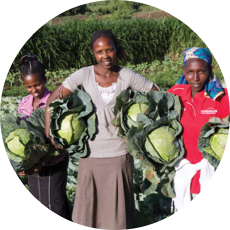 But as members pick up personal finance skills and strategies for working in teams, they begin to expand their activities to include shared business projects like beekeeping, goat rearing and farming. The Salabwek Youth group, made up of 15 enterprising young community members, makes monthly contributions to support the half-acre garden where they grow vegetables and beans. They’ve already started reaping a profit by selling their kale crop at the local market. They’ve asked WE Charity to help install a connection to the village water supply to boost their productivity. The Bereigwet men’s group have become local legends after starting a sprawling 10-acre maize farm. These formidable farmers are forecasting a bountiful bumper crop of 200 bags of maize, which they plan to sell at the local market. They have already used their group savings and purchased a pair of bicycles to make travel to and from the farm more efficient.